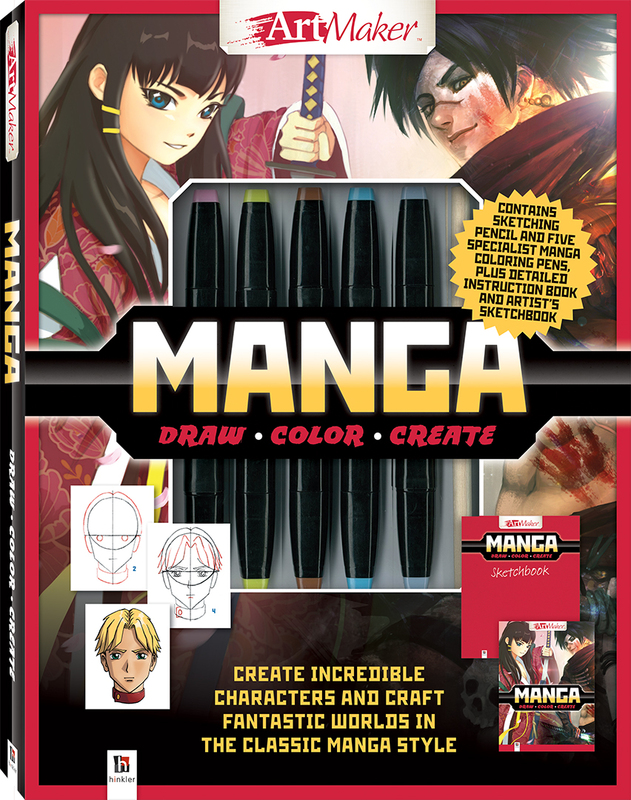 Take your drawing skills to new levels and master the techniques used by professional manga artists with this title! Learn the basics of drawing and discover all sorts of hints and tips to develop your drawings into highly polished, imaginative artwork. The instructional 48-page Manga drawing book features step-by-step sequences showing you how to draw faces and bodies from different angles in the manga style. Learn how to create your art with the correct proportions and perspectives, discover how to use shade and tone to enhance your characters, and find out how to design action scenes with stunning backgrounds. and crafting fantastic worlds in the classic manga style in no time at all!